A loan of $450 helped a member to purchase 2 sheep to raise. Mr. Mahamadi is the leader of the group Mankarga V11 N°7. He is married and the father of two (2) children. The oldest is seven (7) and the youngest is two (2). One (1) child goes to school and he takes care of twelve (12) people. He has been raising animals for over ten (10) years. He purchases supplies at the Mankarga V11 market. His customers are the butchers of Mogtedo. With the money loaned, he would like to purchase 2 sheep to raise. He wants to use the profits from the loan to ensure his children’s schooling. His goals are: for business, he plans on purchasing other animals to raise; for his family, he would like to improve his family’s living conditions. Translated from French by Kiva volunteer Meghan McCallum. View original language description. Mr MAHAMADI est le responsable du groupe MANKARGA V11 N°7. Il est marié et père de deux (02) enfants. Le plus âgé à sept (07) ans et le moins âgé a deux (02) ans. Un (01) enfant va à l’école et il prend en charge douze (12) personnes. Il pratique l’élevage depuis plus de dix (10) ans. Il s’approvisionne au marché de MANKARGA V11. Ses clients sont les bouchers de Mogtedo. Avec l’argent octroyé, il veut s’acheter 02 moutons pour son élevage. Il veut utiliser les bénéfices du prêt pour assurer la scolarité de ses enfants. Les ambitions sont : pour l’affaire, il compte s’acheter d’autres animaux pour son élevage, pour la famille, Il veut améliorer les conditions de vie de sa famille. It helps underserved farmers increase their output. 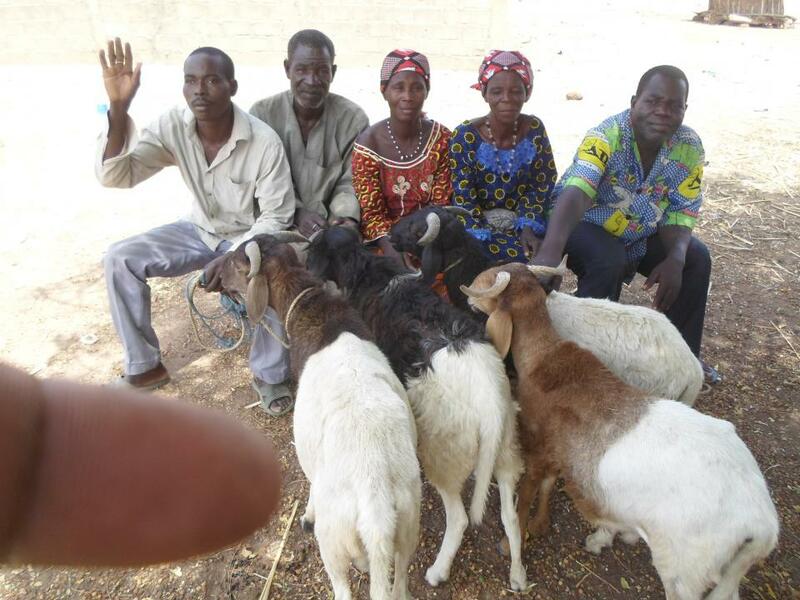 This loan is designed to support farmers in central Burkina Faso. Micro Start is administering this loan, which is part of a program originally initiated by the NGO Region Marce. As part of this program, these farmers and livestock raisers now have access to storage centers to stock their crops, and also benefit from training from agronomists and livestock experts in their region. By funding this loan, you are helping Burkinabé farmers to develop their farming practices and generate a sustainable income. This loan is administered by Micro Start/AFD, Kiva's first Field Partner in Burkina Faso. Micro Start/AFD's mission is to improve families' living conditions in general, and those of women in particular, by facilitating access to financial and non-financial services. Micro Start/AFD is a professional microfinance institution offering financial services, advice, and training. One of the organization's principal aims is to collect obligatory and voluntary savings that foster clients' financial independence. Micro Start/AFD also focuses on building female entrepreneurs' skills in management and business administration and improving the living conditions in its clients' communities. Kiva shares Micro Start's commitment to empowering women entrepreneurs with credit and other financial tools. Because the organization was started by local women entrepreneurs, they have insight into their clients' experience and are able to provide tailored, useful resources. We also like how Micro Start is using the group loan structure to reach poorer women who have limited credit history and collateral, and we're excited to see the institution branch into education loans for bright students who want to pursue college degrees.